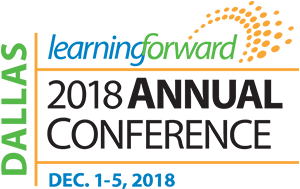 Faculty from the University of Washington Center for Educational Leadership will lead three sessions at the Learning Forward 2018 Annual Conference in Dallas. These sessions are ideal for anyone involved with designing or leading professional learning. Joanna Michelson, co-author of the new book, Leading for Professional Learning: What successful principals do to support teaching practice, will lead a breakout session titled, "The Principal's Role in Leading Professional Learning." How do principals play a pivotal role in supporting teacher learning in the spirit of reciprocal accountability? Learn about key frameworks and practical tools designed to guide leaders’ work in observation, determining the need, sponsoring and following up on teacher professional learning. Leave with an analysis of your existing professional learning leadership practice in relation to a middle school case study that identified how the school principal successfully supported teacher learning. Audiences: District Level Professional Development Leaders, Principals, Assistant Principals, Superintendents, Assistant Superintendents. CEL's Sandy Austin, and Sharon Williams, previously with CEL and now chief academic officer at Holmes County Consolidated School District in Mississippi, will lead a breakout session titled, "Who Is Your Learner? Supporting Leadership Through Inquiry." Learn how the school support and improvement department of a large urban school district aligned its support of principals through the development of guiding principles and pivotal instructional leadership practices. Learn about the professional learning path that is leading to sustainable changes in leadership practice. Develop a plan to establish guiding principles and pivotal instructional practices that guide the development and learning of leaders at all levels of the organization. Austin and Williams will be joined by Sito Narcisse, chief of schools of the 88,000-student Metro Nashville Public Schools (MNPS), Adrienne Battle, community superintendent with MNPS, and Michelle Maultsby-Springer with MNPS. Audiences: District Level Professional Development Leaders, District Office Personnel (Directors/Consultants for Instruction, Technology, Curriculum, Human Resources, and Assessment), Superintendents, Assistant Superintendents. Joanna Michelson and Jennifer McDermott will lead a breakout session titled, "Examining Teacher Learning Culture: Leadership Reflection and Planning." Research continues to highlight that formal teacher professional learning rarely reaches the classroom in ways that make an impact on student learning. Join this session to interact with the Center for Educational Leadership's latest thinking about leaders' roles in fostering both culture and strategy for successful teacher learning. Use tools to analyze the culture for teacher learning in your system and strategize about next steps to address it. Audiences: District Level Professional Development Leaders, Principals, Assistant Principals, Teacher Leaders/Mentors/Team Leaders.